Abby Lee Miller is an American dance instructor, choreographer. Her birth name is Abigale Lee Miller. She is the director and owner of Reign Dance Productions and the founder of the Abby Lee Dance Company. She has appeared on the reality television series Dance Moms for seven seasons. In 2016, she pleaded guilty to felony bankruptcy fraud and was sentenced to one year and a day in federal prison in May 2017. She was released early. She is currently filming season 8 of Dance Moms. She has over 3.7 million followers on her Instagram. Dance Mom Star Abby Lee Miller has a suggestion for Felicity Huffman who has agreed to plead guilty on alleged nationwide college entrance exam cheating scandal named as Operation Varsity Blues. In an interview, the 53-years old dance instructor who served around 8 months in federal prison for fraud shared her experience during her prison time. She told, "Take a deep breath and if you need a consultant, I'm your girl. She is a big star and I think when she gets there, they're gonna be out for her. And I don't necessarily mean the other inmates". I think they will welcome her with open arms." She also suggested Felicity to be respectful and to keep a low profile, be kind to people, tell her story, but listen. Felicity Huffman is one of the high-profile celebrity dragged into nationwide college entrance exam cheating scandal. Prosecutors alleged that Huffman paid $15,000 disguised as a donation to the Key Worldwide Foundation. In reality, she paid another person to pretend to be Huffman's daughter, took the SAT for her, and received a score greatly improved from the daughter's score on the Preliminary SAT. She agreed to plead guilty on 8 April 2019 to one count of conspiracy to commit mail fraud and honest services mail fraud. What is Abby Lee Miller Famous For? - Appearing in 7 seasons on the reality television series, Dance Moms. Where was Abby Lee Miller Born? Abby Lee Miller was born on 21 September 1965. His birth name is Abigale Lee Miller. She was born to a father, George L. Miller, and a mother, Maryen Lorrain Miller. She belongs to White ethnicity and is of English and Irish descent. His birth name is Pittsburgh, Pennsylvania in the United States. She holds American nationality. Her zodiac sign is Virgo. She grew up around dance in Penn Hills, Pennsylvania, a Pittsburgh suburb. She has no siblings. She attended Penn Hills High School. She studied dance at the Maryen Lorrain Dance Studio under her dancer mother's direction. She was given the responsibility for choreographing and coaching for one of her mother's dance competition teams. She was 14. She became certified by Dance Masters of America in 1986. She also became the member of Dance Masters of Pennsylvania Chapter #10 in the same year. Her membership was terminated in February 2012 with DMA saying Miller's reality-TV show Dance Moms was "total misrepresentation of our dance educators and their students and is detrimental to the dance profession." She took over the studio, Maryen Lorrain Dance Studio in 1995 and renamed it Reign Dance Productions. She appeared in the Lifetime reality television show Dance Moms in 2011. The series follows the practice sessions and performance competitions of young students of the Abby Lee Dance Company. She later appeared in the show for 7 seasons through February 2017. She also appeared in three spin-offs of Dance Moms, Abby's Ultimate Dance Competition, Dance Moms: Miami, and Dance Moms: Abby's Studio Rescue. Abby's Ultimate Dance Competition ran for 2 seasons, whereas Dance Moms: Abby's Studio Rescue ran for only 7 episodes. She appeared as a guest judge on Dancing with the Stars. She published a book, Everything I Learned about Life, I Learned in Dance Class in 2014. She opened a new studio set up in Los Angeles called ALDC LA in 2015. She announced her return for season 8 of Dance Moms in July 2018. She filed for bankruptcy in December 2010. She owed more than $400,000 in taxes. Her financial situation improved after she joined Dance Moms in 2011. She encountered numerous legal problems in 2014. One of the dancers on Dance Moms sued Miller charging assault. The suit further claims the show's producers encourage a violent and combative atmosphere on the show as a way to attract viewers. A five million dollar lawsuit was filed against Collins Avenue Entertainment for staging disagreements that ended in a fight between Kelly Hyland and Miller. Paige Hyland also filed an emotional distress lawsuit against Miller. The charges were later dropped on the emotional distress lawsuit. She was indicted in October 2015 for fraud for creating a secret bank account in 2012-13 used to hide income from masterclasses, TV deals, and merchandise sales, in addition to failing to file required monthly reports of income with the bankruptcy court for 13 months. She was indicted with bankruptcy fraud, concealment of bankruptcy assets and false bankruptcy declarations in hiding some $755,000. She pleaded not guilty in November 2015. She was also charged with customs fraud relating to undeclared cash from Dance Moms Australia master class tour. She reached a deal with the IRS criminal investigators to enter a guilty plea to reduced charges on 27 June 2016. She was sentenced to one year and a day in prison, followed by two years of supervised release on 9 May 2017. She also paid a $40,000 fine and a $120,000 judgment and gave a DNA sample relating to her felony charge. She reported to the Victorville Federal Correctional Institution in Victorville, California on 12 July 2017. She was transferred to a Long Beach, California halfway house to complete her sentence on 27 March 2018. She was released on 25 May 2018. She served little of her halfway-house sentence due to subsequently discovered illness. Who is Abby Lee Miller married to? Abby Lee Miller is not married and does not have any children. Previously, she dated Italian actor, Michael Padula. She announced in January 2014 that she got engaged to Michael Padula. She later revealed in July 2014 that their engagement was fake. She stated that she staged the news to calm her mother dying of cancer. There is no other information regarding her personal life. She lives in Los Angeles, California. She was diagnosed with a type of non-Hodgkin's lymphoma cancer called Burkitt lymphoma in April 2018. She spent much of 2018 in physical therapy. What are Abby Lee Miller's Body Measurements? Abby Lee Miller stands at a height of 1.73 m i.e. 5 feet and 8 inches tall. She has a body weight of 183 lbs i.e. 83 kg. She has a large body build. Her body measurements are 42-36-40 inches. She has green eyes and her hair color is dark brown. She wears a dress of size 16 (US) and shoes of size 8 (US). 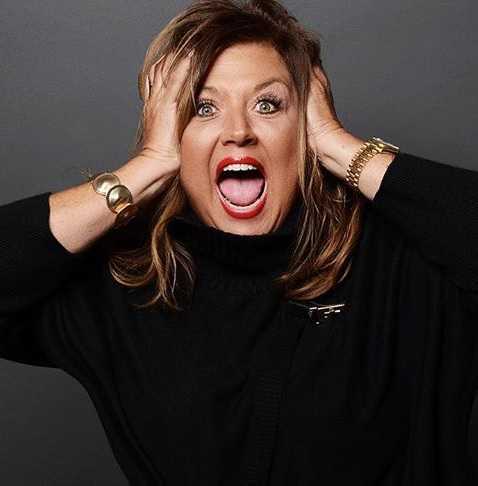 What is Abby Lee Miller's Net Worth? Abby Lee is a professional choreographer and dance instructor. She is the founder of the Abby Lee Dance Company. She earns as a dance instructor, choreographer and appearing in reality television series, Dance Moms. As of 2019, her net worth is estimated at $2 million.